CDR WineLab® was validated by the Institute for the Winegrowing, Winemaking and Agro-industrial Development. 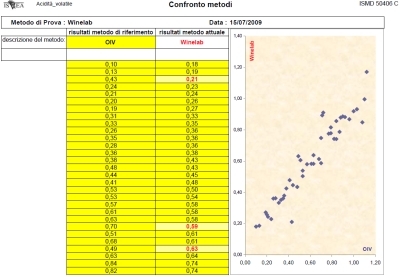 The institute conducted a series of tests using CDR WineLab® and the reference method on some sequences of samples of different types of wines in order to verify the results produced by CDR WineLab®. The institute concluded that the tested CDR WineLab® methods were substantially valid. The statistical equivalence between the CDR WineLab®’s and the reference method was 95%. Validation of CDR WineLab® method: Wine Testing System was last modified: July 13th, 2018 by CDR s.r.l.